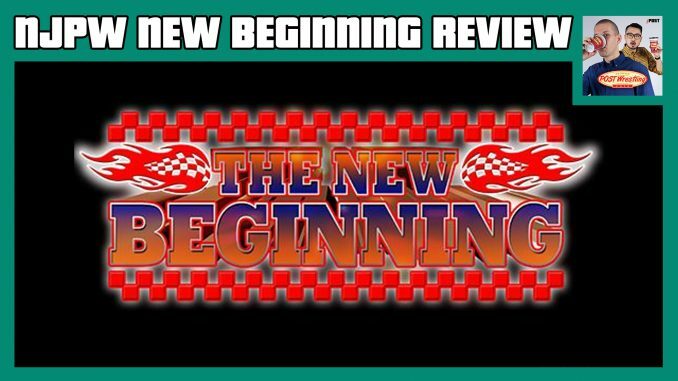 John Pollock’s review of the first two nights of New Japan’s New Beginning cards is now available for all POST Wrestling Café patrons – go to Patreon.com/POSTwrestling to download OR check your podcast app if you have subscribed to the RSS feed provided to all members. John Pollock reviews both New Beginning cards from this past weekend in Sapporo. The shows included an incredible main event between Hiroshi Tanahashi and Minoru Suzuki, an unbelievable junior heavyweight tag match, Kenny Omega defending the U.S. title against Jay White, and a big closing angle involving The Bullet Club.